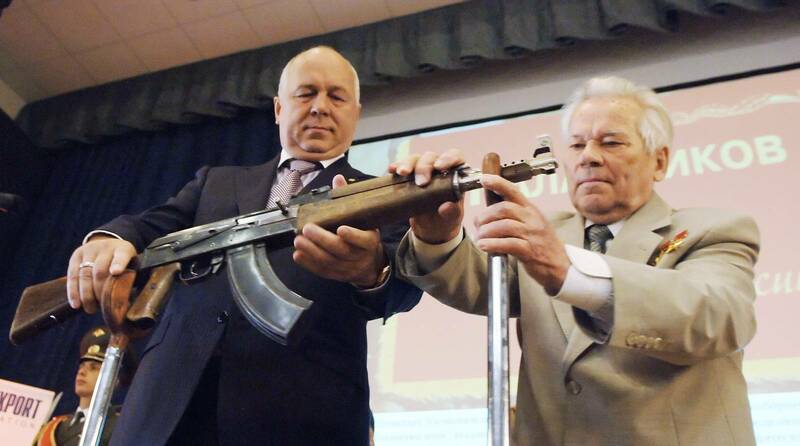 - Sergei Viktorovich, please try explaining the so-called phenomenon that no matter what Russia begins to produce it always ends up with a Kalashnikov assault rifle? - No, not always! We have come up with other products as well. For instance, if we are talking about Rostec, it has a large share of the civilian-oriented production segment. In 2016, this segment accounted for a quarter of the overall output and as of today all of our group’s companies were assigned to boost this figure up to 50 percent before 2025. Otherwise, our enterprises would go bankrupt. The state rearmament program is in force until 2020 and we hope that its completion would be gradual. However, what comes next? Obviously, production of up-to-date weapons will continue in the future, but not like today’s volumes. A gradual shift into towards civilian-oriented production is inevitable and we will need to come up with top-quality, cutting-edge intellectual and competitive products. I should say that our production for perinatal centers is in line with Western standards. Our manufactured Neonatal Intensive Care Units (NICU) is in great demand across Europe. This is not our only product, which enjoys customers’ popularity in Europe and beyond its borders. But you are right saying that we keep up with producing decent Kalashnikov assault rifles. By the way, I would like to say that four years ago Izhmash scientific and research center was on the brink of bankruptcy seeing delays in wages up to half a year, exhausted manufacturing equipment and only a 20-percent workload on newly purchased equipment. In 2013 we have reformed the scientific and research center into the Kalashnikov Consortium inviting private investors, who acquired a 49-percent stake in the company. 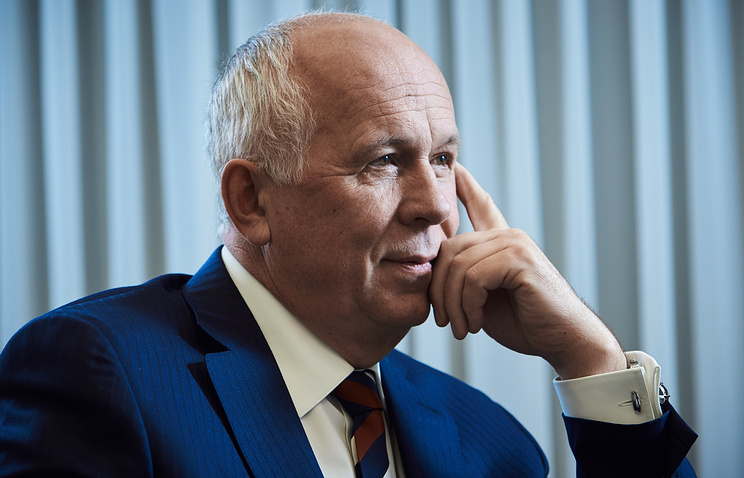 Rostec remained the core shareholder of the company and in January 2014, Alexei Krivoruchko, one of the major investors, assumed the post of the director general. He takes great interest in his work, likes weapons and is a great expert in this sphere. However, we are not coming up with combat assault rifles only. Today, it is a multi-oriented enterprise producing various products, including hunting rifles, sports rifles - both for sports shooters and biathletes – as well as developing guns and equipment for Airsoft and Paintball competitions. Last year the consortium bought the Rybinsk shipyard and assumed management over Vimpel shipbuilding company. The shipyard is developing and constructing high-speed powerboats as well as low and medium water displacement vessels. The vessels are produced both for military and civilian purposes. Moreover, the Kalashnikov consortium is currently reviving motorcycle manufacturing. Perhaps, you do remember how popular the Izh-Planeta motorcycle was in the past. We now have been assigned to resurrect what was in the past and bring it to today's level. - Was it is the same type of motorcycle you saddled up for the first time? - Yes, it was this type. My father had an Izh-49, which, if we take a closer look, it was almost an identical copy of the German DKW. In fact, the production equipment was shipped from Germany to Izhevsk after World War II as wartime compensation. The factory was initially producing trial models, but in 1951 it launched serial production of this motorbike. My father treasured the motorcycle and I took it without asking for his permission. I was a kid at that time, and rather irresponsible. How old was I at that time? Perhaps, eight years old, since I was a second-grade pupil. I got myself mounted on the motorbike, somehow kick started it and then rode off with it. To be honest, it was a short-distance ride. I was not strong enough to steer the motorbike so I crashed into the closest fence after riding directly into it. I tumbled out of the saddle and fled the scene of the accident. My father heard a strange noise from the outside, went out, looked around, saw that the motorbike was gone, but having noticed nothing extraordinarily suspicious left for work because it was inadmissible at that time to be late for the work shift. When he was back from work later that night our neighbor told him: “Vitaly, your motorbike is laid out at the end of the street because Sergey took a ride on it earlier.” My father got scared stiff immediately thinking about whether or not I had been harmed, but then after figuring out that I was fine, besides sustaining several scratches and bruises, he got ticked off because of my contrariness. I did not get beaten with a waist belt, but I got a decent slap on the back of my head for doing that. - Your father had a very peaceful professional occupation. - The most peaceful as it could be. He was a flour miller or, to put it in other words, he was a technician at a flour-mill. I used to help my father as best as I could, particularly during my university years. I used to unload dry-cargo vessels carrying bags of flour and grains. It was indeed a great strain, but I coped with it. At that time I was actively in sports, so I was strong and I had great endurance. - But you seem to continue working out. - Yes, from time to time I do go to a gym with my younger son Sergei. On top of all, I am the president of the Boxing Academy, which is based in Moscow’s Luzhniki. The academy is attended by professionals and amateurs, including female athletes. I work out in order to stay physically fit and to be always in a decent shape. - Do you often hit the ring? - Not as often as I would have liked to, but I do get some opportunities each month. The rest of the time I work out at my dacha with the use of weightlifting machines and, particularly, the elliptical trainer, which I believe is more effective than a treadmill. - Does your son keep you company? - Sergei turned 15 on May 7, he likes sports and is good in certain competitions, which he is interested in. He is good at snow and water skiing, as well as aquabiking. 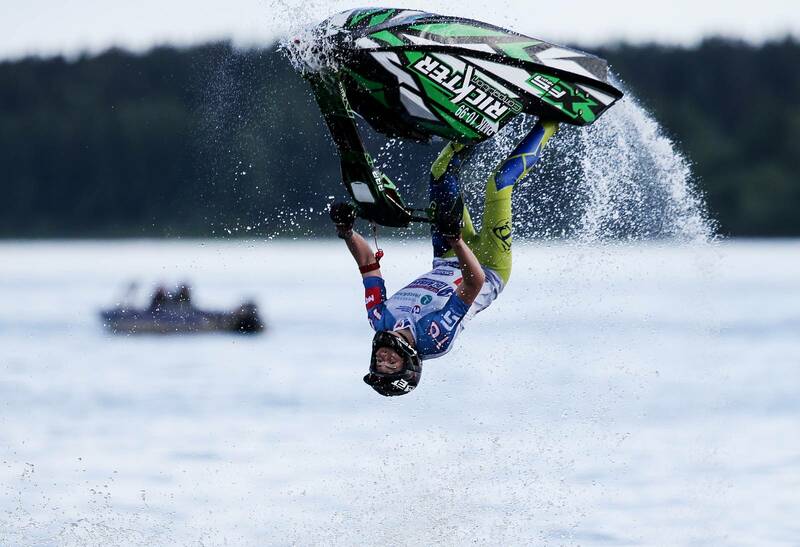 He recently participated in Russia’s Jet-Ski championship finishing in second place. Participants faced a tough program stipulating various jumps, backflips and other somersaults. His latest hobby is Heliskiing. This sport is about free downhill skiing after you are dropped in the mountains from a helicopter. I enjoy downhill skiing as well, however, I would not dare risk such an undertaking since I like to take on previously-used and tested skiing courses. Sergey, however, has never cared much for boxing, although I had tried to get him interested in it on numerous occasions. All of a sudden, he tried boxing and then took up regular practices. He now practices three or four times a week and almost every day if he is on vacation. He is addicted to boxing. My eldest son Stanislav also used to practice boxing, while my middle son Alexander avoids all of this. He is the most uninterested in sports in the family. Alexander majored in medicine, wrote and defended a thesis on healthcare and now works in an insurance company. - Is Stanislav also in business? He is currently finishing up the construction of a brick-yard plant in the Belgorod Region. The media used to publish reports that my son was allegedly involved in the pharmaceutical business, but that news was complete nonsense. To be more exact, my son together with Dmitry Dokuchaev tried to set up a pharmaceutical cluster, but later withdrew from the project. I also have an adopted daughter, Anastasia, and she is the person, who is involved in pharmaceutics. However, she began working in this sphere long before Rostec decided to launch its business in that direction. - I recall media hype about Anastasia Ignatova after she posed as a model for the annual Pirelli calendar. - All of this was about an accidental turn of events. In 2014 we were guests in Milan at home of Marco Tronchetti, who is the owner and CEO of the company (Pirelli). I have known Marco long before that, Rostec enjoys successful cooperation with Pirelli and we have two plants operating in Russia, namely in Voronezh and Kirov. We were invited to celebrate the 50th anniversary of the first edition of the Pirelli calendar, which turned to be a huge event in the world of culture and showbiz. The celebration was attended by various top models, who posed for the calendar throughout its history. I was accompanied by my wife and daughter and we were seated at a table together with Sophie Loren. It was at that time, when I realized that although age can be merciless, beauty is eternal. Anyway, during the festivities, the renowned German fashion photographer Peter Lindberg, who is a true professional in this sphere and on top of that was the photographer of the 50thanniversary calendar, well Anastasia caught his eye. He took several pictures of her and wrote down her telephone number. A couple of months later, he called her and invited for a full-scale photo-session. Anastasia was about to graduate from MGIMO at that time, was also preparing for the postgraduate education and thus rejected Lindberg’s offer. - Was it you, who objected? - No, it was a decision made by my daughter. She decided that there were far more important things in her life instead of posing in front of a camera. Later, we were once again in Milan and Marco (Tronchetti) asked Anastasia whether she had changed her mind about the photo shoot since Peter (Lindberg) kept asking about her. My daughter replied ‘Now, I am ready to give it a shot.’ Usually, female models posed for Pirelli calendars half-naked, to put it mildly, but Lindberg ditched this stereotype in 2017 by having taken pictures in black-and-white without any makeup on the models. - Anastasia’s picture was eventually in the calendar with world’s top-notch celebrities such as Nicole Kidman, Uma Thurman, Penelope Cruz, Hellen Mirren, Kate Winslet, Juliana Moore… Media reports instantly followed alleging that Chemezov daughter’s appearance in such company was not accidental and something was fishy about it. - Not in the slightest way to offend the Western celebrities, but I must say that my Nastya was the most beautiful girl in this calendar. At least, this is how I see it. She never planned to be in advertising or becoming a model. She received an offer and accepted it, but accepted not immediately as I had said before. And I had nothing to do with it. - It seems that Nastya is now most likely not to be invited to such international projects since she is a relative of a person, who had been blacklisted. - But this is not a brand-ironed mark, is it? I am personally not worried about the imposed sanctions. If there is something that I regret about, are my trips to Europe, which I really admire. We used to spend vacations with my family there. We rented a house there in the course of ten years, and even pondered buying out this house to make it our property. We did not buy it and now it turns out for better, because today we would have been forced to sell it. The current sanctions did not particularly influence my work. However, I had to alter the course of my previous business trips. I pay now more visits to the Asian, African and Arab countries, where, I should say, most of our major business partners are living. I don’t think that I would be barred from going to these destinations.